It's been quite a while since I've updated this, but it's been a busy couple of months. A couple of months ago Lina and I purchased a building in Keyport and I opened a barber shop. I really missed working in a small town and what better place to open a shop than a few blocks from our house! The town has been awesome and every person that comes in is nicer than the last. It's a dream come true. Here are a couple of photos of Calabrese's Barber Shop. They aren't the best (took em on my iphone), but you get the idea. Jim's Burger Haven closed today. Although I didn't grow up in this area, I've eaten there a bunch in the past year, and it saddens me to see it go. This seems to be a trend in New Jersey and I'm assuming the rest of the country. Great, family run businesses closing down to make way for an unnecessary national chain. They are putting an AutoZone where Jim's currently is. Where are the kids of the Bayshore area going to grab a porkroll, egg, and cheese when they cut school? Definitely not AutoZone. 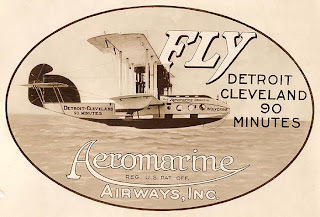 Aeromarine was a short lived seaplane manufacturer based out of our town, Keyport, NJ. Part of the factory still stands a few blocks from my house and has left it's mark on the town more ways than one. Along with a water tower and a couple of offices Aeromarine left behind a few acres of completely contaminated land. 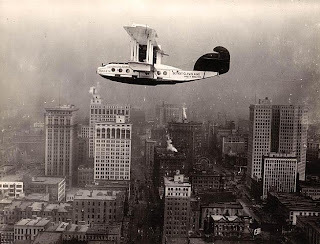 Toxic disasters aside, the planes are some of the coolest looking things I've ever seen. 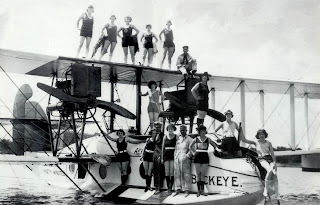 The company manufactured the planes from 1921-1924 and had routes across the US, Cuba, and the Bamahas. 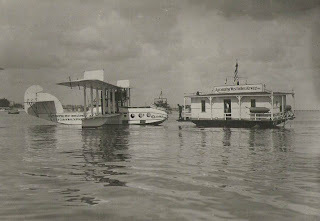 Here are some images via the Keyport Historical Society. See what everyone else is hooked on at Hooked on Houses. Sorry for the cheezy post.. This Sunday Lina and I took a cheese making class at Bobolink Dairy in Vernon, NJ. It was really informative and pretty fun. We ate some great cheese and the farm staff prepared us some killer pizzas in their wood-burning oven. Along with the food, we sampled different types of whey and raw milk. It all tasted like the liquid on top of sour cream or yogurt and definitely wreaked a little havoc on my stomach. ...for about ten minutes! we had a dairy queen binge on the way home. Keyport in the Great American Town Tour!! We call Keyport NJ home. It reminded us of the little southern towns we drove through after we got married. Little Main St, some pretty old homes, couple of diners and bars within walking distance, and just enough white trash to keep it fun. The fact that it's on the Raritan Bay is pretty sweet too. I walked around a couple weeks ago and took some photos of some of my favorite houses in town. And a few shots of the bay. Thanks for stopping by! 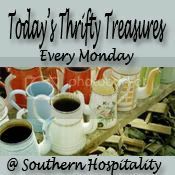 Check out Huckleberry Prairie for more town tours. Lina and I went to an estate sale Saturday morning, but we got hit with a crazy storm Friday evening. Lightening, hail, the works. The storm left the sky a beautiful pink color, but unfortunately ruined most of the stuff that brought us to the sale (postcards, linens). There was some still some good stuff and it was in a killer neighborhood right on the bay. Here's the view from our porch after the storm rolled through. Not impressed? Sorry. Lina found a pair of leather shoe clips and I found this apothecary jar. I bought this perfect vintage sign on ebay. It definitely wasn't thrifty, but I loved it and it'll look perfect in our guest room. Meet Taffy, my sister's adult one-eyed chihauhua. That's right. An old one-eyed dog. She's a really, really good person.